Food was GREAT. We had some much food for such a great price. 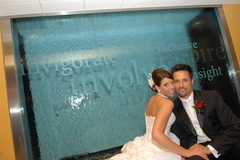 Wonderful service and very helpful with wedding coordination and working out the details. Worked with other vendors to get linens and chair rentals for me.